The one courtesy raccoons perform when they get into houses is to set aside a single location as their latrine. 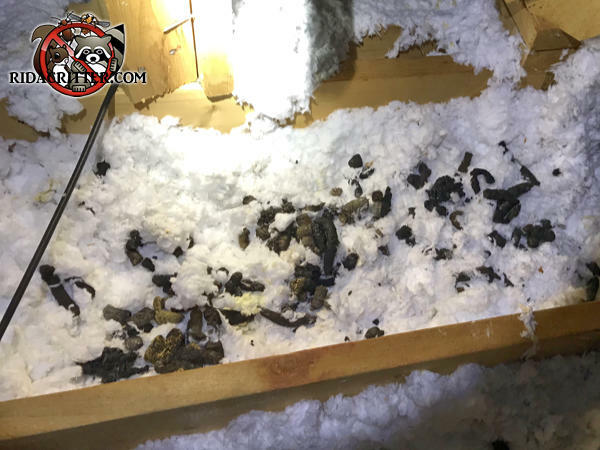 Sometimes, if the animal is caught very quickly, that allows the homeowner to replace only the contaminated insulation. Usually, not so much. That's because in addition to the poop and pee, raccoons also shed parasites through a space they're living in, and also flatten out the insulation by running across it (which destroys its insulating efficiency).